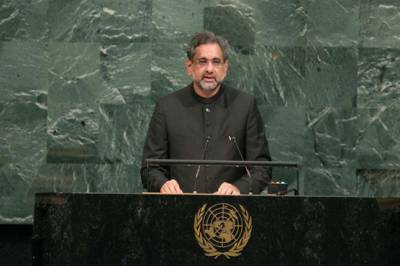 New York, USA (Web Desk): Pakistani Prime Minister Shahid Khaqan Abbasi addressed to the 72nd session of the United Nations General Assembly (UNGA) in New York, on Thursday. PM highlighted important issues, here is the complete text and video of the speech. For over 70 years, despite the Cold War, the nuclear arms race and scores of regional conflicts, our world was able to avoid a global conflagration. This can be ascribed in large measure to the adherence by most States to the prohibition of the use or threat of use of force except under the authority of the UN Charter.